Bangalore also called as Bengaluru is the capital city of the sate of Karnataka in south India. According to a legend “benda kaal-ooru” is the original name of Bangalore, which means ‘town of boiled beans’. Bangalore is also well known by its nick names, such as Pensioners’ Paradise, Pub City, Garden City, and Silicon Valley of India. Bangalore is the home of many high-tech industries, and it is also a fast growing cosmopolitan city of India. Bangalore has the most pleasant climate of all the Indian cities and a relatively mild climate prevails throughout the year, which makes it a favorable tourist spot. The Bangalore fort built by Kempe Gowda and expanded by Tippu Sultan is now open to tourists. Windsor castle is said to be the inspiration of the palace, which is built in Tudor style. Paintings and wooden carvings of this grand palace reveals the artistry of south Indian culture. 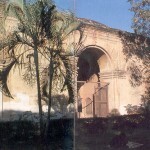 Historical photos of maharajas and viceroys are additional attractions to the visitors of the palace. A nominal entry fee is collected form visitors in order to regulate the huge number of tourists. Lal Bagh is the famous botanical garden of Bangalore established by Hyder Ali. One can find a large number of imported trees, which come form various parts of the world. With over thousand species of flora, Lal Bagh is a great center of attraction to the tourists visiting Bangalore. Grand flower shows are held twice in a year at Lal Bagh. 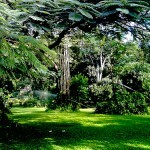 The recent renovation has made the already beautiful garden into a nature’s paradise for tourists. It is a must visit place for anyone visiting Bangalore. The Cubbon Park also known as Sri. Chamarajendra Park is a celebrated tourist site located in the heart of the city. It is one other attraction for nature loving visitors. 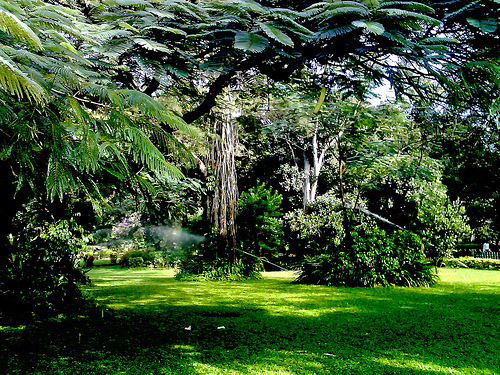 The splendor of this park spread over 100 acres lies in its beautiful lawns, shady trees, and exciting flower beds. The unique dancing musical fountain that was commissioned recently enhances the grandeur of Cubbon Park in a lively manner. The Government museum of Bangalore is one of the oldest Indian museums established in 1856. Artifacts from the ancient Indian civilizations are well preserved here. It has a rich collection of rare paintings, armory of olden days, terracotta works, and sculptures made of wood and stone. It is one of the best places to have a glance at the glorious past of India. 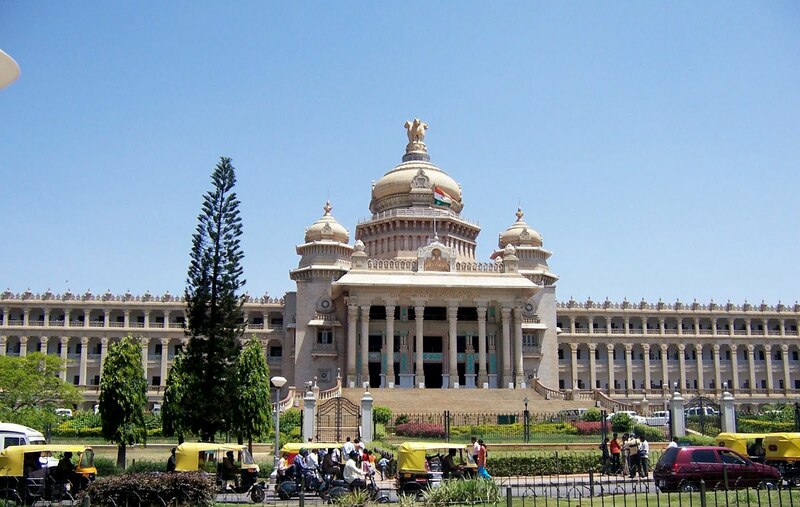 Vidhana Soudha is one of the Bangalore’s best known land marks. It is a splendid granite building of Dravidian style and is the home of state legislature and secretariat. It is gloriously illuminated on special occasions. The four headed lion, which is the sovereign symbol of India, is a surpassing beauty that welcomes any entrant. The building is open to visitors after 3 PM. The following are some of the worthy site seeing places in Bangalore: Iskcon Temple, The Bull Temple, The Gangadhareshware Temple, The Dharmaraja Temple, Jumma Masjid, Ravindra Kalakshetra, St. Mary’s Cathedral, Gandhi Bhavan, and Ulsoor Lake. The Bangalore international airport is among India’s busiest and most modern one, with direct flights to many European and Asian destinations. As Bangalore is one the largest IT hubs of India, both government and private airlines ply a number of international and domestic flights to various destinations. One other advantage for tourists is the Bangalore city railway station, which is situated in the center of the city, very close to the Majestic bus stand. There are trains to every major Indian city. Pre-paid taxis and auto rickshaws are readily available for the convenience of tourists. All the above mentioned places are worth a watch. Bangalore is just few miles away from the best trekking trails and jungle safaris.